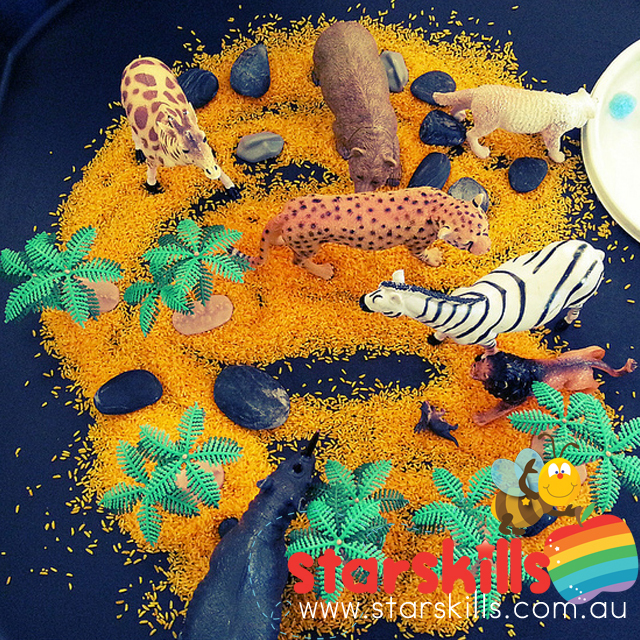 A safari themed sensory play is easy to create. I have a great black tray that the children can sit round or stand round and play. Each week I change this play so it is different and sensory. One week may be jelly, play dough, goop. 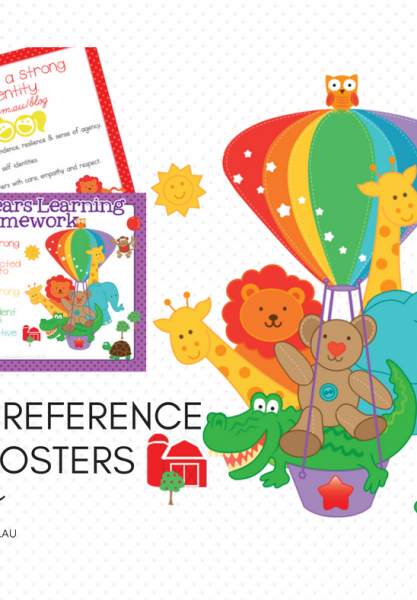 Basically something that encourages fine motor development as well as creativity. 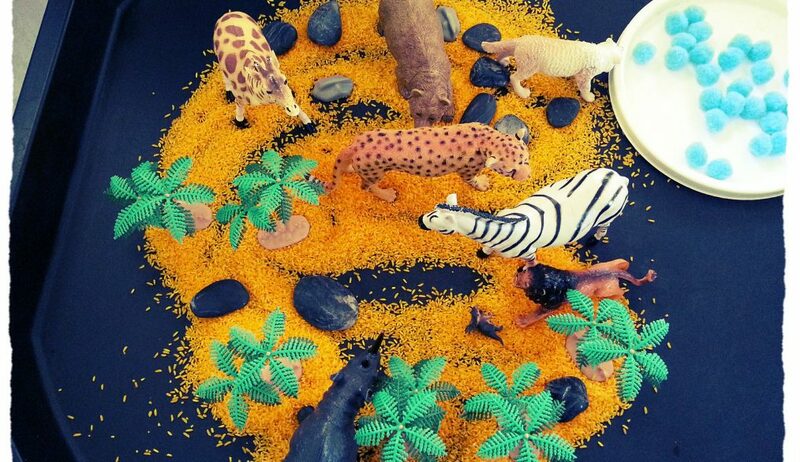 We have really enjoyed learning about the safari landscape and have noticed some safari animals travel over miles of sand to get to different territory. We used coloured rice to depict the sand, rocks to mark and define spaces and I just love the water (pom poms) used to create a drinking hole! 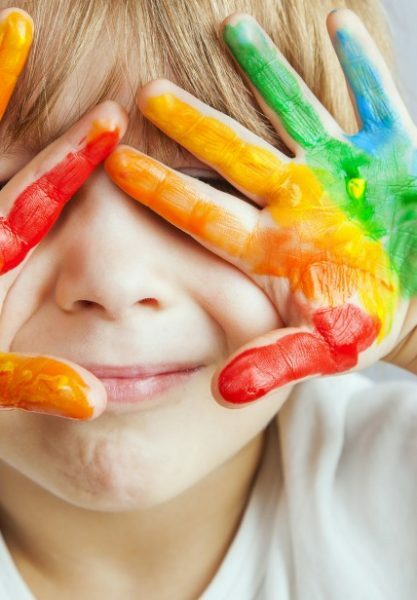 Amazing what kids come up with!